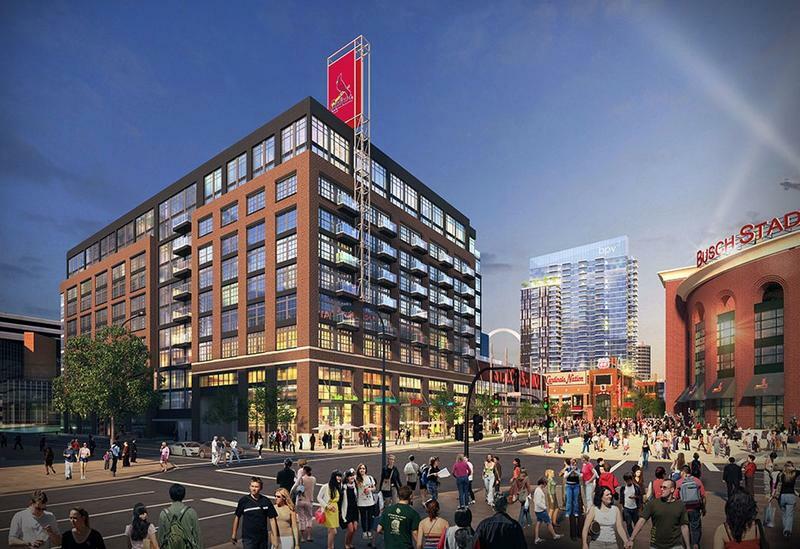 The St. Louis Development Corporation has kicked off a campaign of town hall meetings aimed at improving its public image. Missouri Gov. 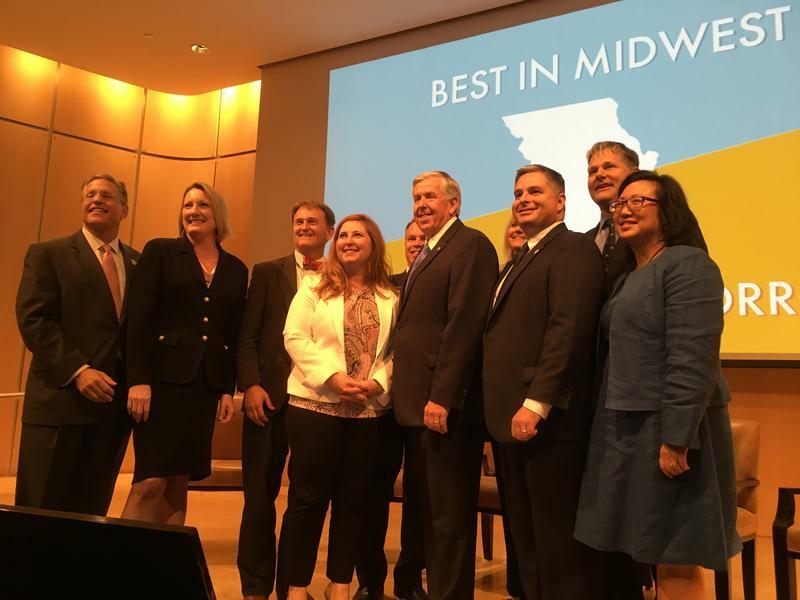 Mike Parson outlined two priorities to drive the state’s economy during an appearance in St. Louis on Wednesday: workforce development and infrastructure. The governor spoke at the Donald Danforth Plant Science Center following an all-day summit convened to focus on the two issues. Parson urged the gathering of business and education officials from around the state to work together to prepare tomorrow’s workforce and to vote in November. Civic Progress and the Regional Business Council will provide $900,000 dollars to several local organizations in an attempt to bolster public safety. 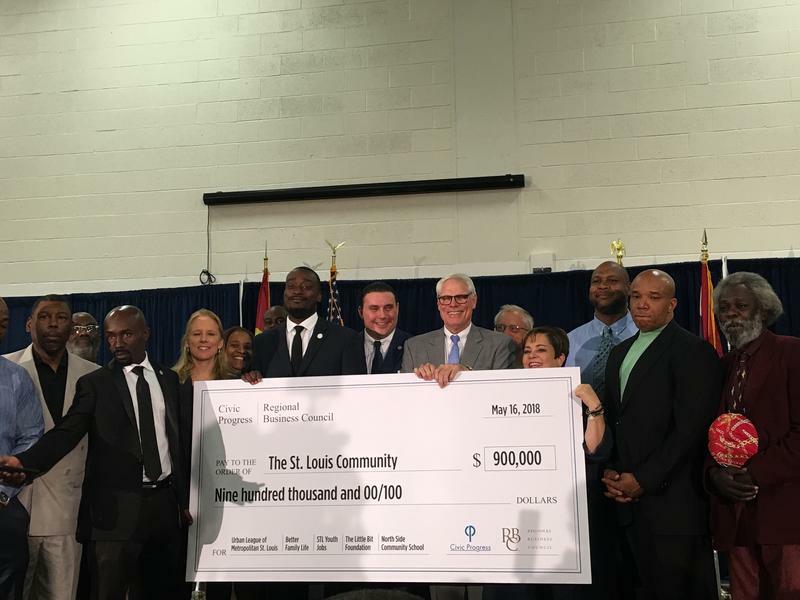 The announcement made Wednesday aims at increasing job training opportunities for at-risk youth in St. Louis. 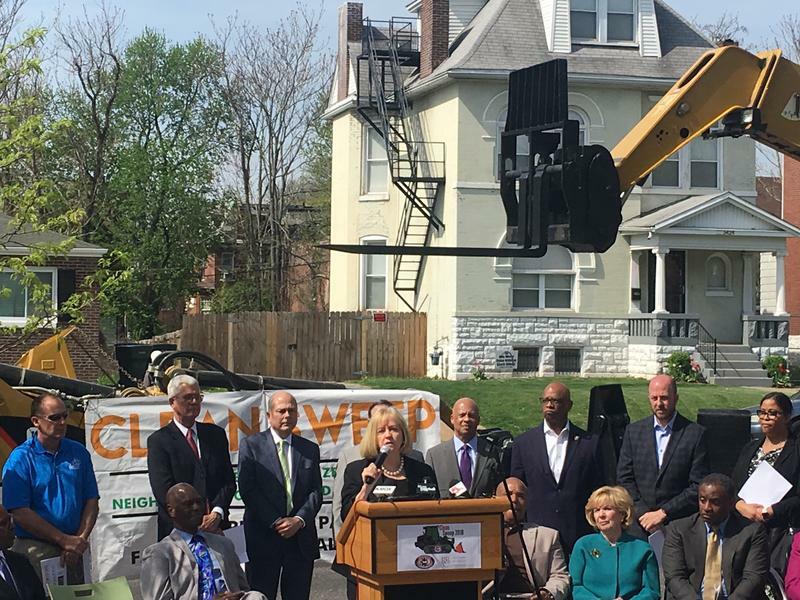 Five organizations will receive investments, including the Urban League of Metropolitan St. Louis, Better Family Life, Inc., STL Youth Jobs, The Little Bit Foundation and the North Side Community School. Each organization has programs aimed at young people for job training or education. 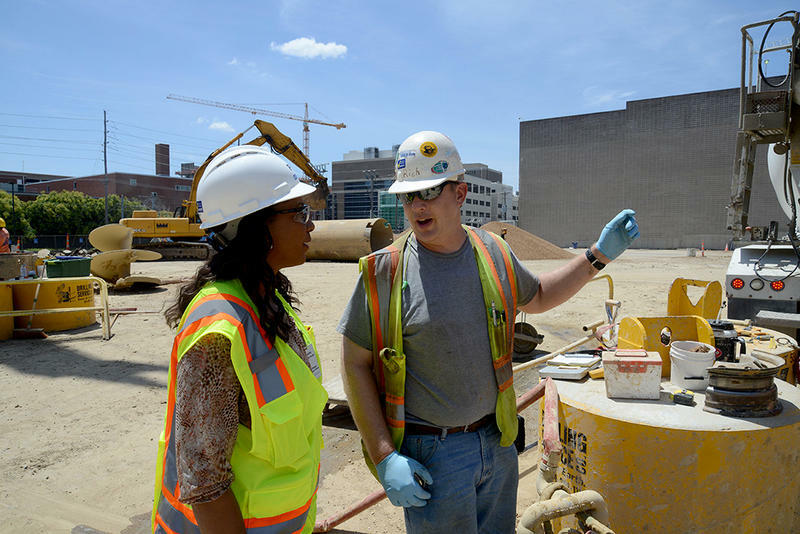 Developers seeking tax incentives from the city of St. Louis on public projects will soon need to show they’ve met thresholds for participation from minority- and female-owned contractors. 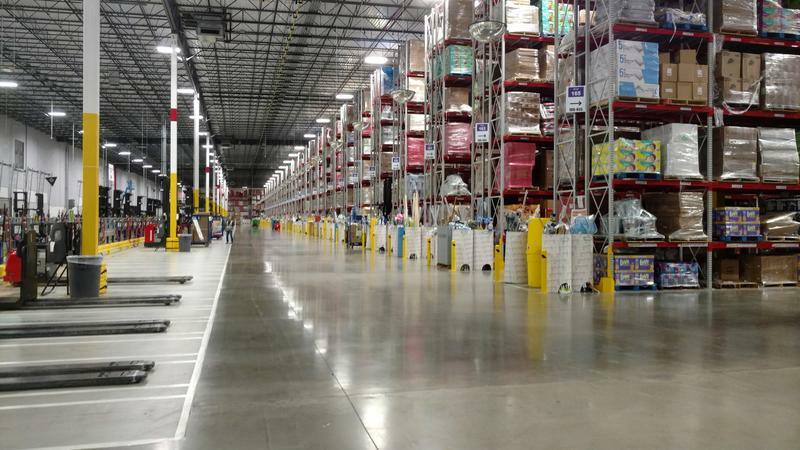 Retail giant Amazon will build its first Missouri distribution center in the St. Charles County town of St. Peters. Amazon announced its plan to build the the 800,000-square-foot warehouse in a news release Wednesday. The company expects to hire about 1,500 workers. Gov. Eric Greitens talks often about growing jobs in Missouri. 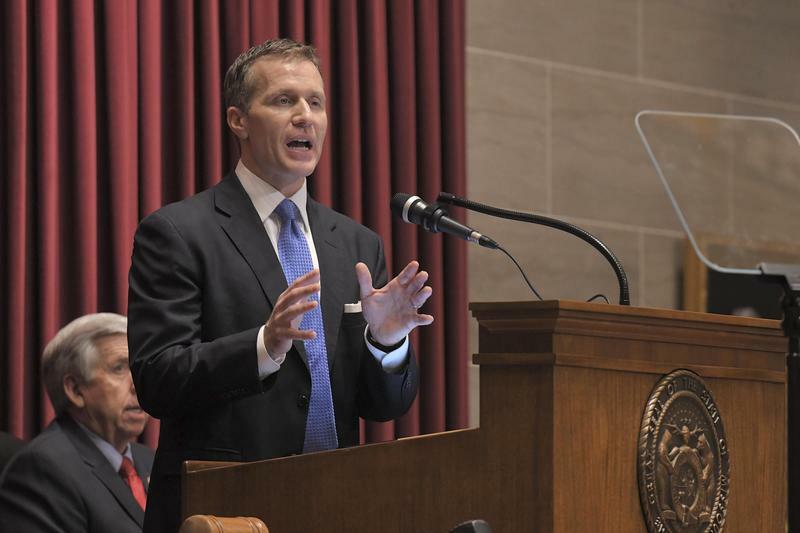 “Making sure that we have the right laws on the books to be fair to family businesses, and making strategic investments in education, infrastructure, and workforce development,” Greitens said. Yet just a few days later, the governor proposed a roughly $68 million reduction for public colleges and universities. The suggested cuts to higher education for the second year in a row drew criticism almost immediately, including from Greiten’s own party. Updated Jan. 18 with Amazon decision — Amazon will not consider St. Louis as one of the 20 finalists for the company's new headquarters. Amazon will consider Toronto, Columbus, Indianapolis, Chicago, Denver, Nashville, Los Angeles, Dallas, Austin, Boston, New York City, Newark, Pittsburgh, Philadelphia, Montgomery County, Washington, D.C., Raleigh, Northern Virginia, Atlanta and Miami. Those cities beat 218 others for their finalist spots. 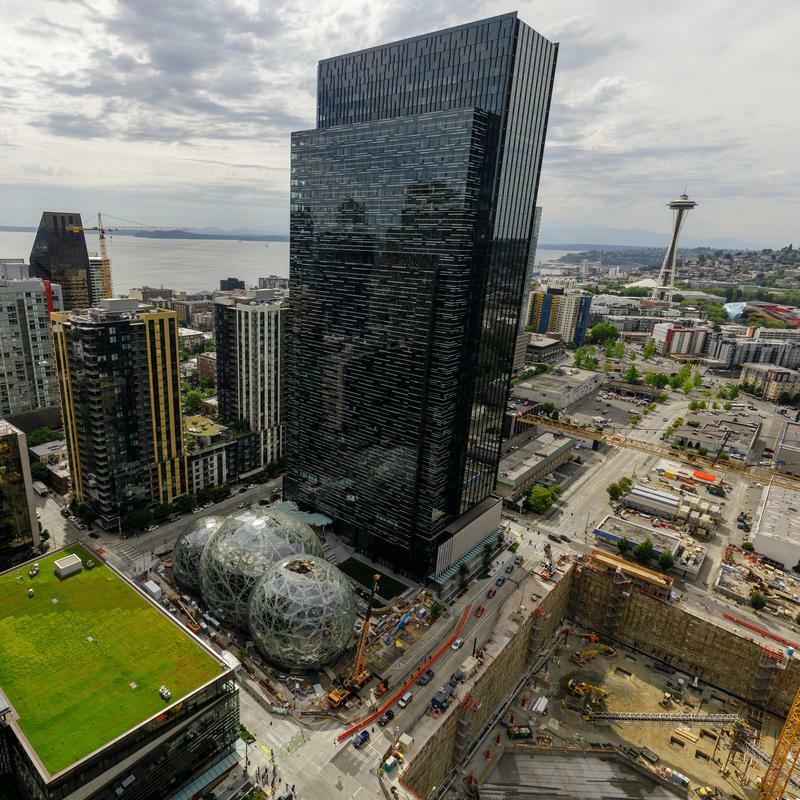 The second headquarters will bring more than $5 billion in construction investment and more than 50,000 jobs to its eventual home city, according to a statement on Amazon's website. 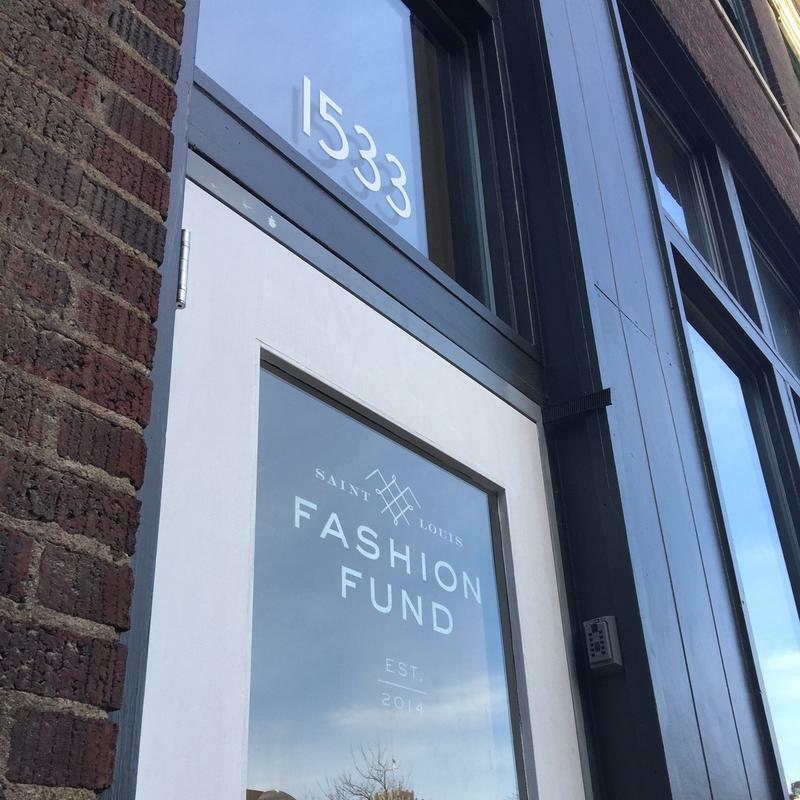 Updated Aug. 28 with resignation of Fashion Fund's executive director - The St. Louis Fashion Fund is looking for a new executive director. Eric Johnson has resigned after roughly a year-and-a-half on the job. A statement from the nonprofit says Johnson is leaving to pursue other entrepreneurial opportunities. The popularity of craft beer is helping urban neighborhoods throughout the country that had been written off, including some in the shadow of beer giant Anheuser-Busch in St. Louis. Those who are heavily-involved in the city's beer scene hold up Urban Chestnut's foray into The Grove and Schlafly's opening in Maplewood as prime examples of how a brewery can become a key element of a community and lead to a revival. Updated May 15 with comments from Gov. Greitens — Governor Eric Greitens says the Missouri Partnership will be funded. The business recruiting arm of the state was expected to get $2.25 million in state funding, but Missouri legislators eliminated the line item completely in the budget for next fiscal year. 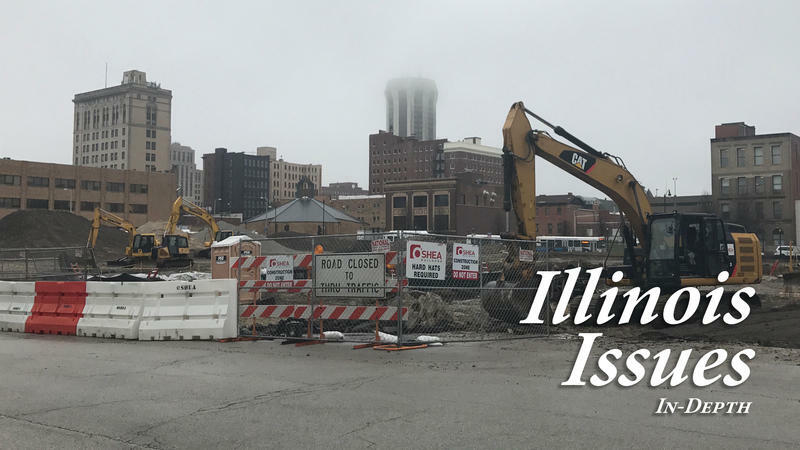 Updated Feb. 15 with city's rejection of petition - A group of Clayton citizens is dealing with a setback in its effort to bring a massive expansion project directly to voters. 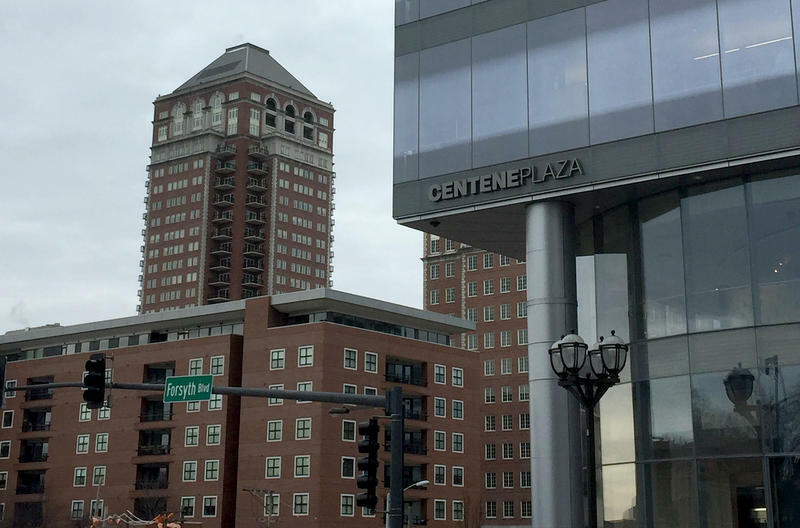 The city has rejected a petition essentially calling for the more than $770-million Centene headquarters expansion to be put on the ballot. On Thursday’s St. Louis on the Air, host Don Marsh discussed the idea of “smart growth” in the St. Louis region with organizers of an upcoming conference called the New Partners for Smart Growth Conference. The conference was started in 1995 by the Environmental Protection Agency but has grown to include many other partners. This year, it will take place in St. Louis from Feb. 2-4. 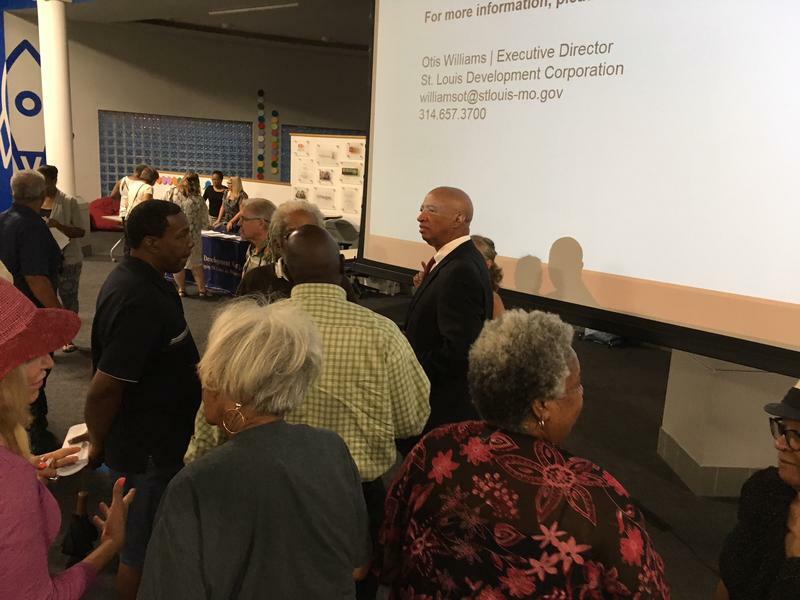 The committee that handles budget issues for the city of St. Louis went to Cherokee Street Wednesday night to hear from members of the public about a proposed half-cent increase in the sales tax to fund economic development. Aldermen want to put the measure before voters in April. If approved, the tax would generate an additional $20 million a year. The two dozen speakers were generally supportive of using some of the sales tax revenue to fund a partial north-south expansion of MetroLink. It's what else is, and isn't, in the bill that caused concern. Updated Dec. 19 with Greitens opposition to public stadium funding - The St. Louis Board of Aldermen considered millions of dollars in economic development incentives Friday, sending some to Mayor Francis Slay while setting others up for approval in the New Year. 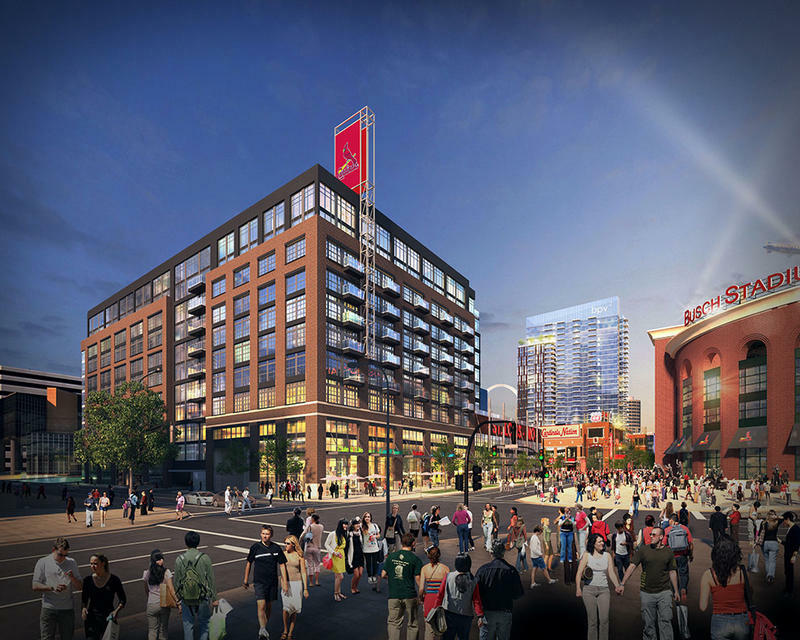 At a meeting that stretched over three hours, aldermen gave final approval to $56 million in incentives for the second phase of Ballpark Village and to an agreement with Saint Louis University that gives the school control over the development around its planned new hospital. Six hundred jobs are coming to St. Louis over the next four years. 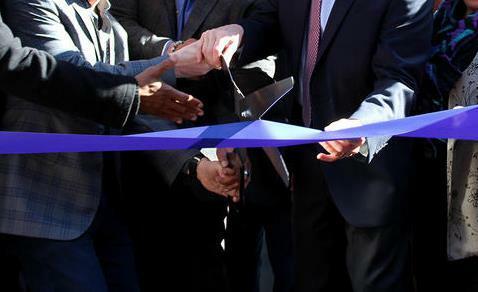 Commercial real estate firm Cushman & Wakefield on Friday announced the company’s $17.4 million expansion. The firm has signed a lease for a new 90,000-square-foot office in Town and Country. The firm already employs 900 people in the St. Louis area. 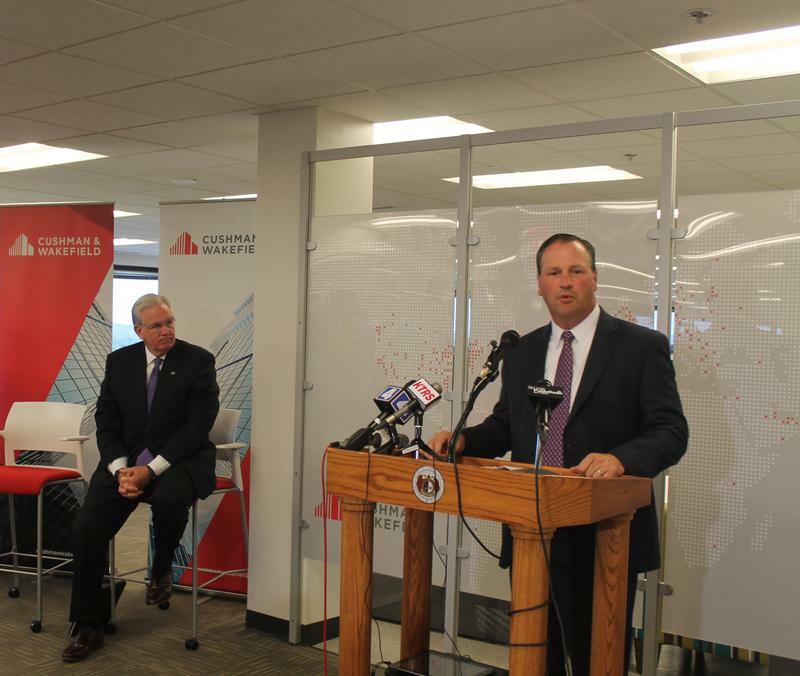 Cushman & Wakefield have been in St. Louis for 90 years. Brian Ungles, market leader for the company, said St. Louis is a great location for growth. Updated 11:48 a.m., Aug. 25 with inaugural class announcement - A local designer is part of the St. Louis Fashion Incubator's first class. Emily Koplar is one of six people chosen to go through the two-year program aimed at supporting the businesses and boosting the city's fashion-related economy. 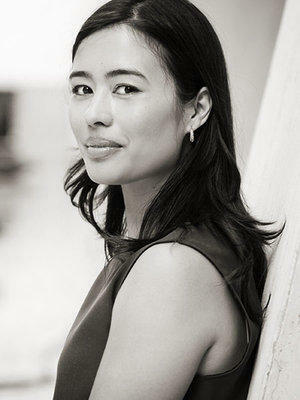 She is founder of the Wai Ming women’s clothing line. Other members of the inaugural class are from the New York City area, Dallas and Chicago.